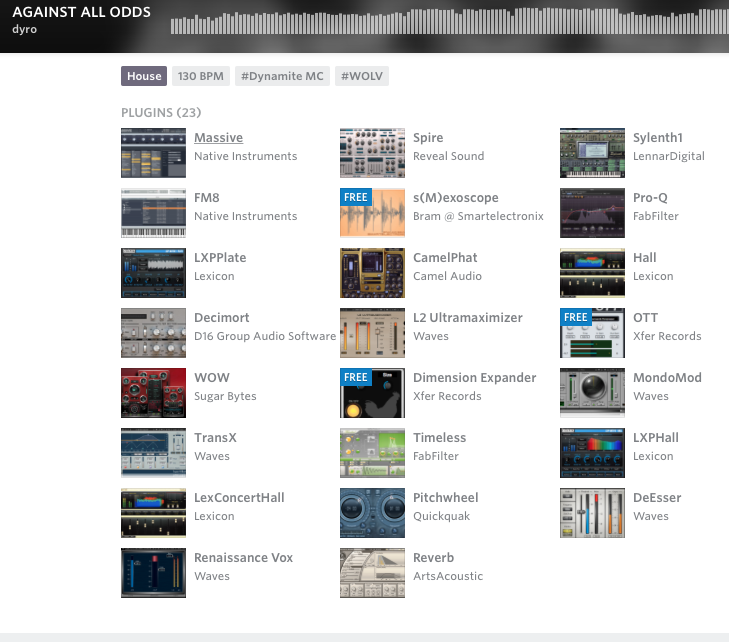 Dyro lists Waves MondoMod Modulation Chorus as one of the plugins he used on [this](https://splice.com/dyro/against-all-odds) Splice project. "[Chaz Bundick and Patrick Brown] applied mild Waves MondoMod Modulation Chorus rotation to the effects channels rather than the dry signal to further the goal of creating shimmer without distraction." This plugin can be seen in this video at 8:20. "I love MondoMod, I'd recommend you get into that one. If you use delays on that you can get this kind of smearing detuning effect that always makes me think of stuff like My Bloody Valentine, which I'm a huge fan of." - at 15:45 in the Waves webinar with Guy Sigsworth. Amazing chorus effects for everything from guitars to vocals. AM (tremolo), FM (vibrato) and Rotation (panning) modules. LFO with 5 selectable waveforms. Tempo sync. No reviews or videos yet for Waves MondoMod Modulation Chorus Plugin. With an Equipboard account you can rate this item, add it to your collection, submit a review to discuss what you like and dislike about it, and associate Waves MondoMod Modulation Chorus Plugin to artists that use it. Create an account!